Wood can express form, surface, color, figure, ...and utility. We sculpt wood into line and form and contour—animating light and shadow—pleasing the eye with proportion, balance, and harmony. A truly comfortable chair expresses a human form in negative. It calls. Invites. Touch is at the root of sensibility. To enliven it, we shape, we sand, we polish. 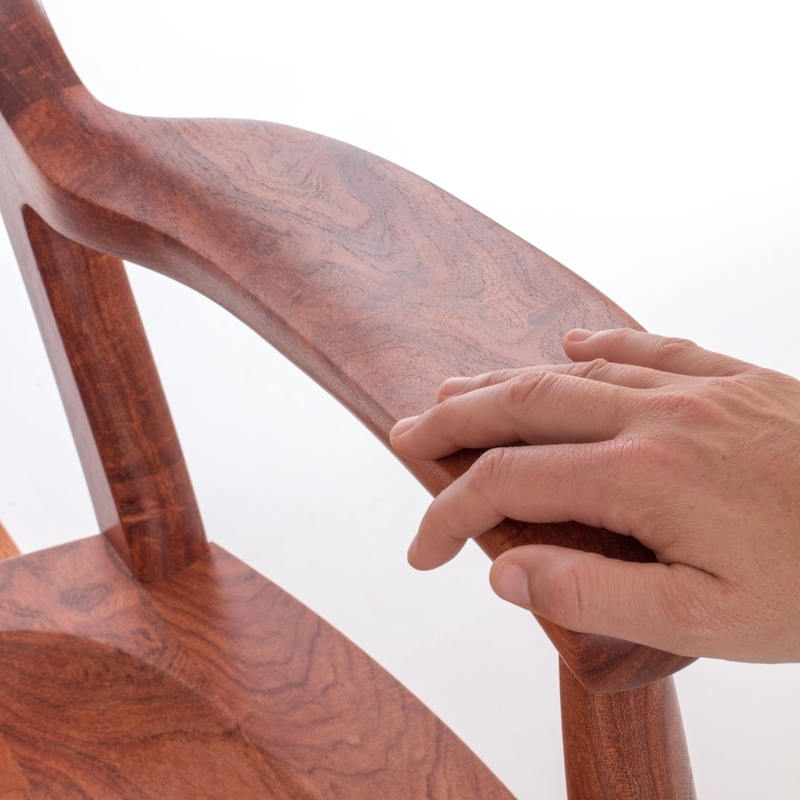 There is a tactile and emotional difference between a wooden surface, sculpted and polished, and any other material. The woods we use are prized for their texture and color. They provide a palette. The growth rings of a tree are displayed on the face of wood as lines and patterns. We select and cut to create a coherent composition of figure within each piece of furniture.